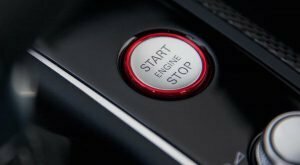 A surge in vehicle thefts, including keyless car theft, has led to motor insurers paying out a record £1 million every day, according to recent figures published by the Association of British Insurers (ABI). A new vehicle theft claim is now being made every six minutes, with Home Office figures showing a 50 percent rise in vehicle thefts over the last five years, said ABI. “The resurgence in car crime is worrying. The record amounts paid to motorists by their insurers in part reflects the vulnerability of some cars to keyless relay theft,” said Laurenz Gerger, ABI’s motor policy adviser, in a statement. “Action by motor manufacturers to tackle this high-tech vulnerability, allied with owners taking some simple, inexpensive precautions will help reverse this unwelcome trend,” Gerger continued. Usually operating in pairs, one criminal will hold a device up against the car, to capture the signal it sends out to the key. It then “boosts” this signal to another device by the front wall of the house, which relays the signal to the key inside. This fools the car and key into thinking they are within the two meter (6.6 feet) range of operation, which allows the car to be unlocked and started. Once started, the engine will not restart without the key present. The ABI said that recent testing by Thatcham Research gave six of the eleven 11 vehicles launched this year a “poor” rating as the keyless entry/start system they have as an option has no security measures to prevent theft by criminals using the so-called “relay attack” technique. For more info on how to protect your vehicle from keyless relay theft call us on 01446 334005 or visit our Ghost Immobiliser page.